Sharing food and bringing hope! Let that sink in for a second. These are the kids down the road. The ones sitting on the bus and in class right next to your child, trying to learn the same things, but hunger is a dark cloud. A constant distraction and burden holding them back from reaching their full potential. 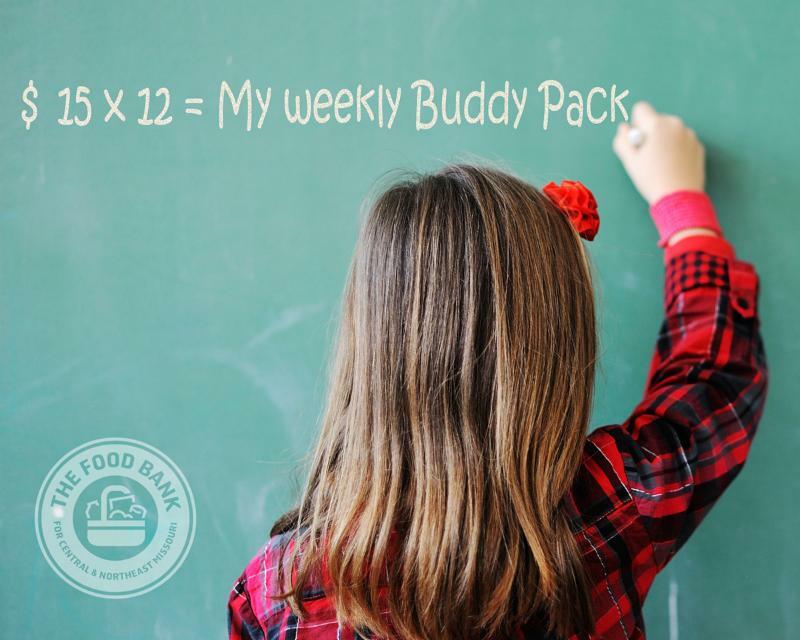 Hunger hurts, but Buddy Packs help. 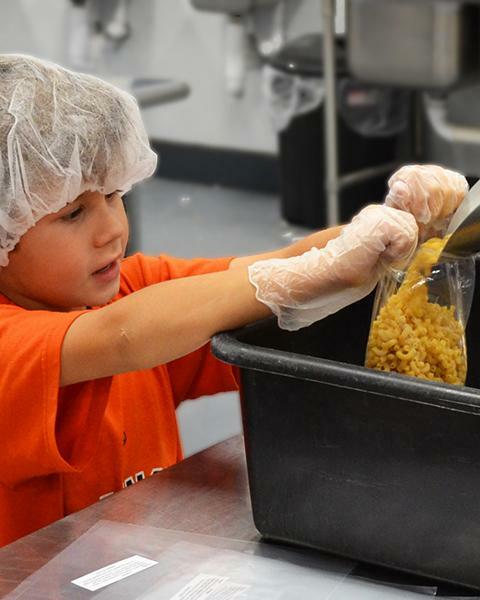 Kids Helping Kids Day in The Food Bank’s Volunteer Room is Saturday, October 13. We welcome you and your family to join us in our efforts to share food and bring hope to neighbors in need in our community. Children ages 4-12 are invited to join us for a fun afternoon where we will work together to repackage food for distribution. There will be a visit from Buddy the Backpack and a tour of the warehouse. Little ones can make a big difference! 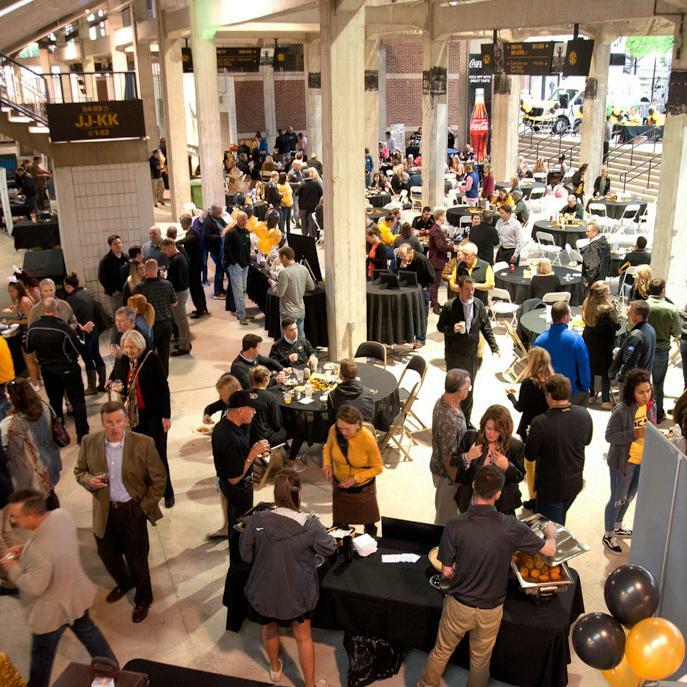 Truman and the Mizzou Cheerleaders welcomed event guests into an evening full of delicious food, amazing auction items and a great time had by all – the 2018 Taste of the Tigers event was a roaring success! Thanks to an impressive cast of generous sponsors , attendees and vendors, Taste of the Tigers raised more than $150,000 to help The Food Bank share food and bring hope . If you missed this year’s event, don’t make that mistake again next year. It’s sure to be even bigger and better! Click the link below to see more photos from this year’s Taste of the Tigers event. We are Missouri. We are a state that takes action. Whether it be on the field or in our communities, the University of Missouri and the Show-Me State work together to get things done. 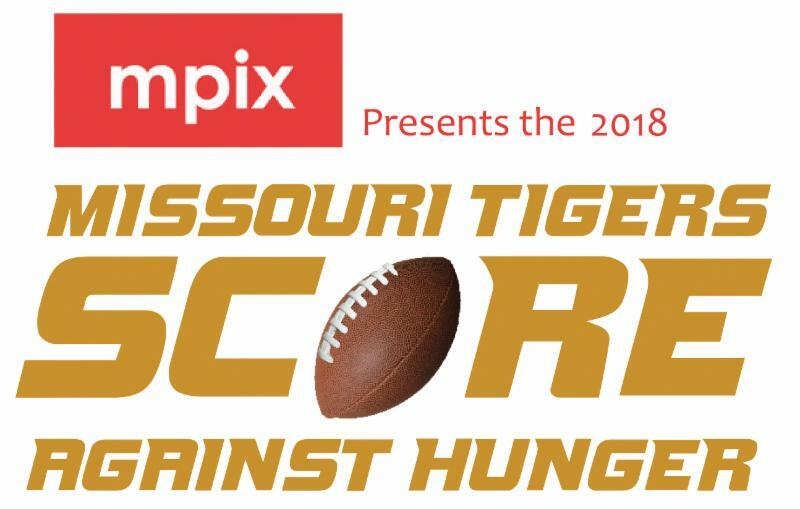 For more than two decades, Missourians have shown their commitment to sharing food and bringing hope to neighbors in need by supporting the Missouri Tigers Score Against Hunger campaign. 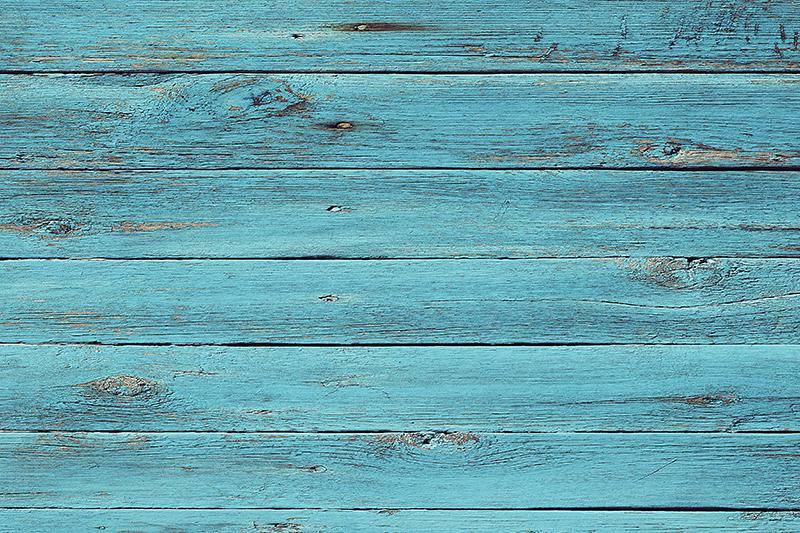 Since its inception in 1995, Score Against Hunger has become The Food Bank’s largest annual fundraising effort, providing more than 110 million meals across a 32-county service area. But the need is ongoing. Click the link below to find out how you can help.